I am a Process Engineering Manager at BioPharma Engineering. At BioPharma Engineering our design philosophy is process-led. My role involves leading the process design and working with our multi-discipline design teams in the delivery of projects for multinational clients. 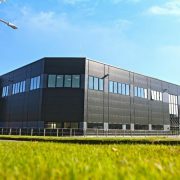 Our projects include everything from new builds and facility upgrades to new product introductions. My main responsibility is understanding our client’s requirements to scope out the process solutions for the project. As part of this, I identify PFDs, P&IDs, equipment specifications, review detailed designs and calculations and determine which of these are relevant for the project. My days can be very busy and I am constantly kept going. No two days are really the same but in general, my mornings start with a team meeting. During the meetings we review progress on our projects. These are great to get on the same track or solve any complex technical issues together and set project goals for the day or week ahead. I spend the rest of my day focused on my clients and project deliverables. My week will always involve some travel so I might have to travel to a meeting on a client site or Factory Acceptance Testing. I will spend time consulting with the client on recent developments. We may have to present our latest solution, work through recent scope changes or resolve an issue that has cropped up onsite. I work closely with all aspects of the project so I might review equipment solutions with vendors, consult with the other disciplines and review and approve work from other process engineers on my team. 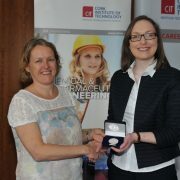 I qualified with a B. Eng (Hons) degree in Chemical and Process Engineering from UCC which I have found to be invaluable to me in my work. While working here I also developed a keen interest in the business aspect of dealing with clients and BioPharma Engineering have been very supportive in furthering my education. They have even sponsored me to complete my MBA at UCC which I recently completed. I have over thirteen years’ experience in process engineering and pharmaceutical projects. 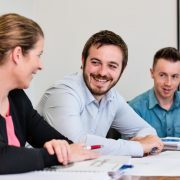 I spent a number of years in industry performing a range of technical roles within Wyeth Newbridge, SP Rathdrum and most recently as a Product Team Leader in MSD Ballydine. Other previous positions include Process Development Engineer, Project Engineer and Senior Process Engineer. The best thing about working at BioPharma Engineering is the diverse range of projects. I could be looking at anything from a design of a new biopharmaceutical facility one day to looking at smaller projects like water treatment plants the next. As a process engineer here I am exposed to a wide range of aspects in both project and process engineering. Another thing I really enjoy about my job is that there is a lot of autonomy. We are a close team that coordinates rather than micromanages in terms of deliverables so we look for engineers that are self-motivated and who can take on a body of work and see it through to completion. 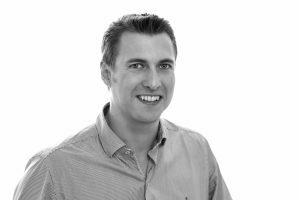 My job at BioPharma Engineering sees me working as a member of a team to deliver as part of a greater project but also taking on individual projects and working independently. As a process engineer, the biggest challenge is always time management. The volume of deliverables and deadlines can be difficult to prioritise but I am competitive by nature so this is where I find my drive and motivation. What advice would you give someone considering applying for a job with BioPharma Engineering? A lot of my previous experience was in manufacturing and R&D work. After a number of years in manufacturing, I felt like the work I was doing became repetitive so for someone joining the team at BioPharma Engineering I would say you’re going to be involved in more diverse engineering work than you would if you were in a manufacturing environment. In BioPharma Engineering you are going to be exposed to everything and anything in all sorts of disciplines as opposed to other engineering firms where you may be allocated a smaller and narrower scope of work. Here the scope of work is much wider and more diverse. 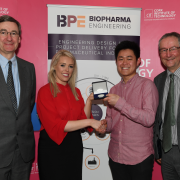 At BioPharma Engineering the work is certainly demanding but hard work and commendable performance are always celebrated and rewarded which makes it a great place to work and grow your career.